The Art of Animation Resort is one of the best themed on Disney property. My favorite section is the Radiator Springs area. 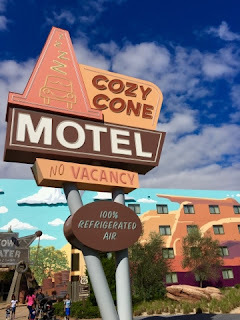 I took this shot of the Cozy Cone today, while spending some time at this resort.